DDAS member Chris Newsome took the DDAS LX-90 telescope to the 66th Derby 1st Spondon Ladybower Beavers on Monday 18th November 2013. Unfortunately, the sky was overcast during the evening, but there was a good question and answer session inside the hut with a very large amount of knowledge about things in the sky being shown. Picture by Jeanette Phoenix. 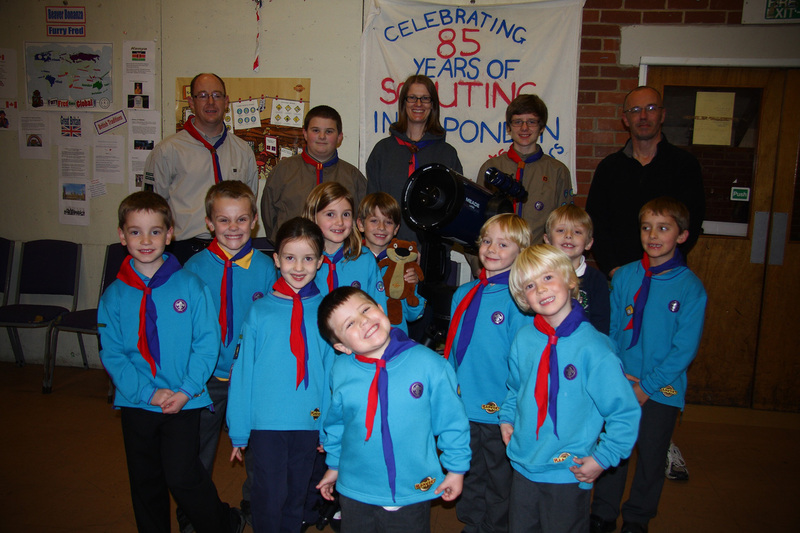 On 26th November 2013 Chris Newsome was asked again to bring the LX90 along to the 66th Derby 1st Spondon Mars Cub Pack meeting in the hopes that they would have a clear night to do some stargazing - unfotunately it was cloudy once more! 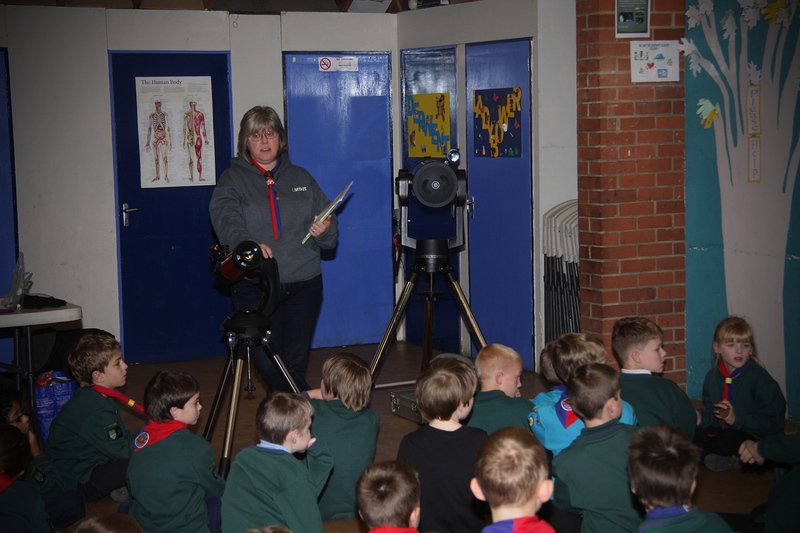 So inside the hall his friend Jeanette Phoenix held a session demonstrating how the telescopes work (she is seen on the photo with her Celestron and the society LX90) and asking the great question of young people of that age "what's the difference between a star and a planet?" Picture by Chris Newsome.